Standard Chartered has agreed to pay $1.1bn (£844m) to US and British authorities for poor money-laundering controls and breaching sanctions against countries including Iran. The settlement by the bank is among the most severe imposed for sanctions violations, some of which occurred not long after Standard Chartered settled similar charges in 2012. The circumstances that led to today’s resolutions are completely unacceptable"
Separately, it was fined £102m by the Financial Conduct Authority for anti-money-laundering breaches that included "shortcomings" in its counter-terrorism finance controls in the Middle East. It is the second-largest fine ever imposed by the UK regulator for anti-money-laundering failures. StanChart admitted that it processed hundreds of millions of dollars in clearing transactions between 2008 and 2014 through its Dubai offices on behalf of Iranian entities as well as clients connected to other countries subject to US sanctions laws. The bank said in February it had reserved $900m to cover costs of the settlement. The UK's Financial Conduct Authority said its investigation had found a series of shortcomings in the lender's financial crime controls, including one instance when an account was opened in a UAE branch for an unidentified consulate with a suitcase containing just over $653,050 in cash in the local currency. The regulator said the bank did not properly check the source of the money. Mark Steward, director of enforcement and market oversight at the FCA, said: "Standard Chartered's oversight of its financial crime controls was narrow, slow and reactive. "These breaches are especially serious because they occurred against a backdrop of heightened awareness within the broader, global community, as well as within the bank, and after receiving specific attention from the FCA, US agencies and other global bodies about these risks." 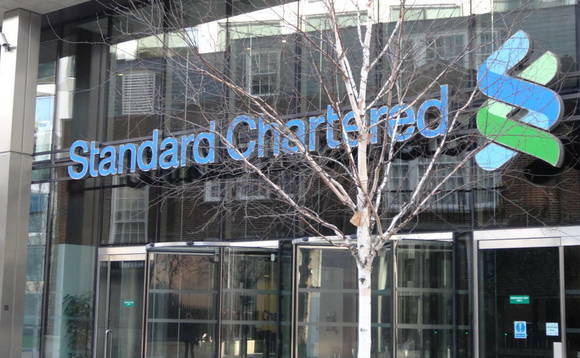 Standard Chartered agreed to accept the FCA's findings meaning it qualified for a 30% discount, otherwise the regulator would have imposed a penalty of £145,947,500. The bank, which is headquartered in London but focused on Asia, the Middle East and Africa, placed partial blame on two former junior employees, who were "aware of certain customers' Iranian connections and conspired with them to break the law, deceive the group and violate its policies". Standard Chartered said: "Such behaviour is wholly unacceptable to the group." However, Standard Chartered's penalty is well below the $8.9bn imposed by US authorities in 2014 on BNP Paribas for conspiring to evade sanctions.